Somerset - 16th November, 2018 - The beautiful countryside that surrounds the now famous village of Bruton has always been a magnet for people that love nature. However, more recently the land has been coming alive as local conservation initiatives have led to the ecological enrichment of the land. 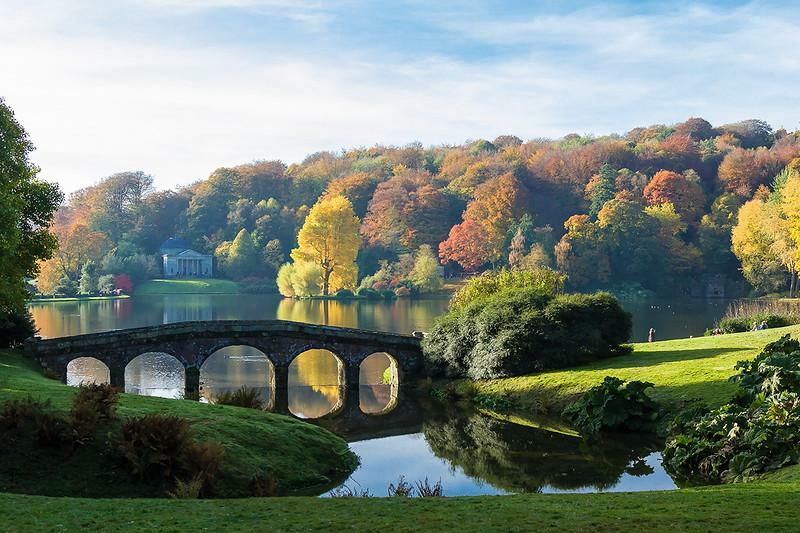 This week alarm bells are ringing in response to rumours in pubs up and down the area that the National Trust is considering hiring marksmen to dispatch wild boars that may disturb the lawns of Stourhead Estate. This is upsetting many nature enthusiasts many of whom have been visiting the area in larger number hoping to see these wonderful animals. In England, wild boar were driven to effective extinction by over-hunting possibly as early as the 13th century with none remaining in Britain from 400 years ago. Their loss is a severe blow to the health and vitality of our native ecology because these shy creatures perform a wide range of useful ecosystem functions from: opening up scrub land and creating various desirable habitats; providing a long-term increase in biodiversity; spreading plant seeds and fungi and reducing the abundance of some pest (invertebrate) species, to name but a few. Wild boar remain very rare in the UK with fewer than 2,000 animals estimated in the wild. Wild boar do have their critics. The vigorous rooting the animals love to do to feed is great for clearing land and opening up woodland to create space for butterfly species but is less good when they break into gardens or find themselves on manicured lawns. Getting the balance right so that nature can thrive and wild species return whilst not disturbing the ordered sensibilities of the English is always tricky but there are compromises that can be made. Not least, it is possible to drive wild animals back into the woods using non-lethal methods or excluding them using low electric fencing. Rather than shooting the boar - some of whom are reportedly pregnant - it would be possible to simply scare the animals off the precious lawns. The ever popular Bruton Facebook Group seems overall to largely support their local porcine population. Bruton in Somerset is home to a long list of celebrities and has several times recently been voted the most desirable place in the UK to live. The quiet muddle of Saxon homes is rumoured to have something in the water and the local network of significant people suggests a new Chipping Norton Set - but the vibe is different. The people in Bruton aren’t interested in how big your car is; it is how many trees you plant that really turns heads. 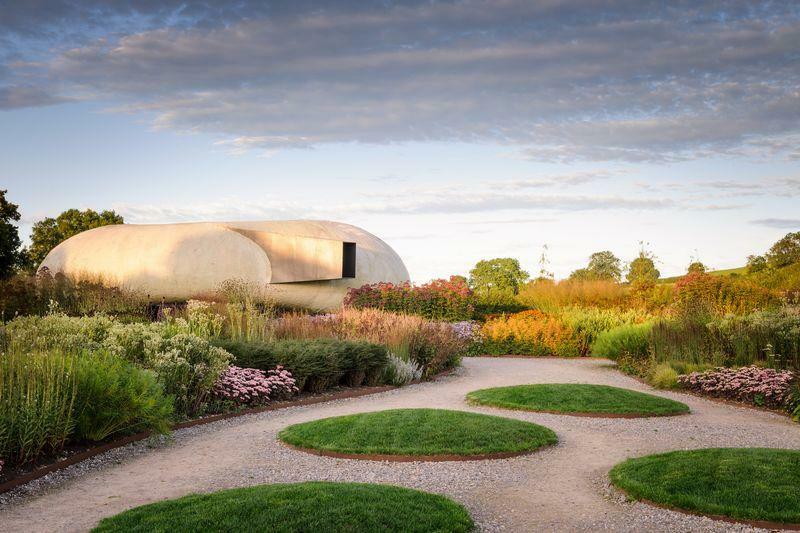 Bruton bursted onto the global contemporary art scene with the arrival of one of the world's leading galleries - Hauser and Wirth. This stunning gallery; showcasing the likes of Martin Creed and Jenny Holzer, as well as being a mecca for art enthusiasts also enthusiastically supports local green initiatives. Food sold in the restaurant is locally and sustainably sourced, surrounding lands are managed with immense care and recent workshops for the general public have included courses in how to forage and how to interact profoundly with nature. The local party scene here is boisterous and fun. There are often great events at The Roth Bar and Grill - the celebrated restaurant that joins the gallery. Weather permitting revelers dance on the breezy patio surrounded by extraordinary and grandiose outdoor artworks. The bar's weekly soiree even brought international beauty Daisy Lowe to the DJ booth one heady night last summer whilst an assortment of local bohemians boogied on the terrace under the starlight. Some of the city folk travelling down to the area are in search of this earthy goodness. On the outskirts of Bruton a trendy retreat centre called 42 Acres runs courses called worrier to warrior where head coach Tony Riddle takes city folks out of their comfort zones - running barefoot, balancing on logs, surviving on the paleo diet and feeling what it means to be in nature. More and more people want a taste of the wild… but is it wild enough? Increasingly, locals like TV presenter Simon King and leading garden design firm Urquhart & Hunt are calling for more natural gardens and landscapes to promote wildlife. By doing things like reducing lawn area and digging ponds concerned locals are helping to boost wildlife right in their own back gardens. At a time when the UK's natural species are in a catastrophic decline local luminaries are lining up, calling for, not just the preservation of our last remaining wild spaces but also for the purposeful and deliberate reintroduction of long lost species. The remarkable thing about nature is that, just like our bodies, it does heal. 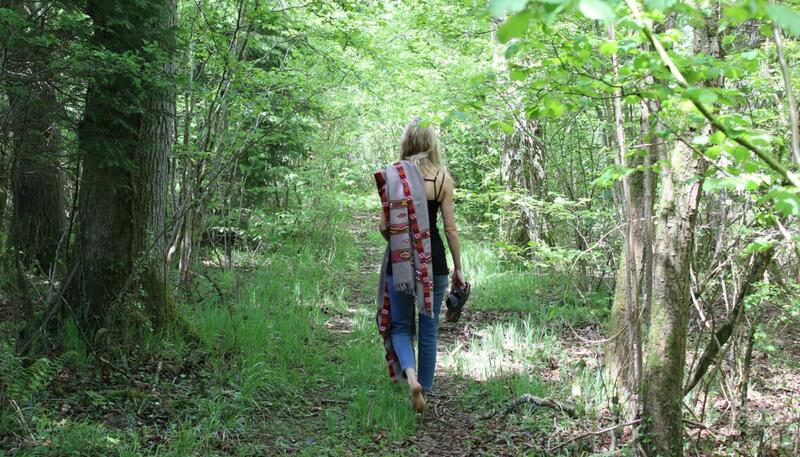 If the conditions are right, nature can return and become just as vibrant as it once was. Bruton has made a name for itself as a destination for those seeking to escape the harsh limitations of city life. It can be deeply satisfying to realize that wild-ness is not something we have to take a long haul flight to experience. It can be found in England. Sitting in a wood, with the wind in our hair and other creatures rustling around, a sneaking suspicion arises that it is still in each of us too. Bruton has become a beacon for people wanting a more grounded and natural life. There may be great parties but there are also resurgent wild places and that seems to be the true magic that is behind a gentle, earthy migration down to the shire. 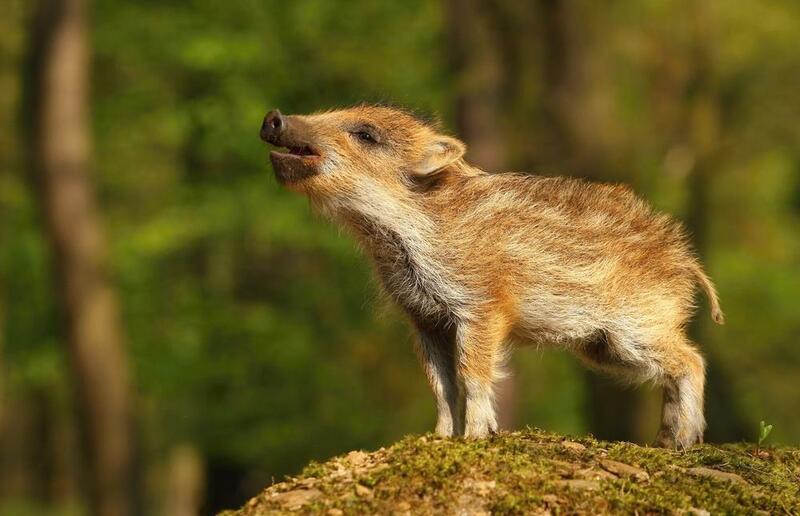 Wild boars may be shot THIS WEEKEND! I am very concerned about reports that The National Trust is preparing to shoot and kill wild boar (including pregnant sows) on the lands surrounding the Stourhead Estate in Somerset. Given the catastrophic collapse of wild species I feel strongly that we should be doing everything we can to preserve wild species. Wild boars may occasionally make a mess if they break into gardens but they spend most of their lives in woods disturbing no one and helping wildlife to thrive. Please call off the cull - we do not want wild boar shot in the area.